Just rolled out our new Feature to enable printing labels from Label Connector for QuickBooks using the general Items list. With this new feature you can search the list of QuickBooks Items using the same methods available in the QuickBooks items list page. 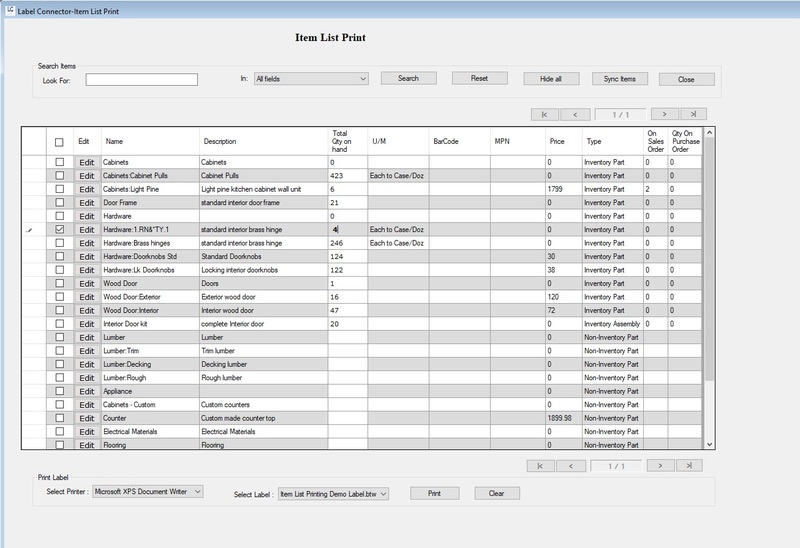 Users can edit the qty to print for the item(s) by using the edit button on the page. Rapid search is enable because we maintain a copy of the items list as a local XML file. User can refresh the XML file quickly right on the page if you have created new items.